Don't miss Ezra Miller's impression of Snape! The stars of the new Fantastic Beasts movie, "Crimes of Grindelwald", talk about magic, butterbeer and the legendary Albus Dumbledore! 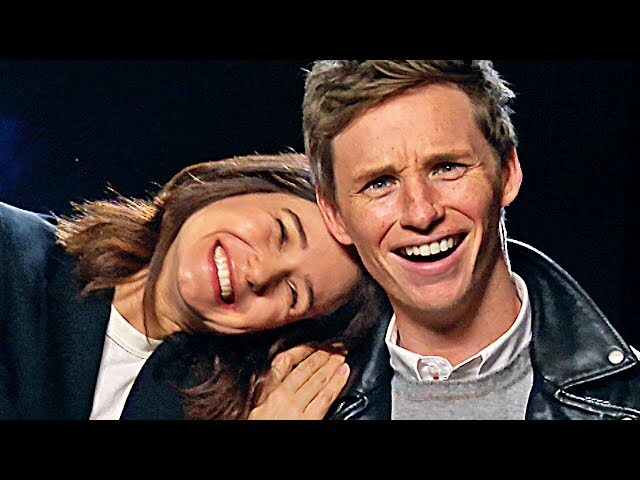 With Eddie Redmayne (Newt Scamander), Katherine Waterston (Tina Goldstein), Jude Law (Albus Dumbledore), Ezra Miller (Credence Barebone), Claudia Kim (Nagini), Dan Fogler (Jacob Kowalski), Alison Sudol (Queenie Goldstein) and Callum Turner (Theseus Scamander). We never thought we would get to interview Winnie the Pooh one day! But dreams do come true. 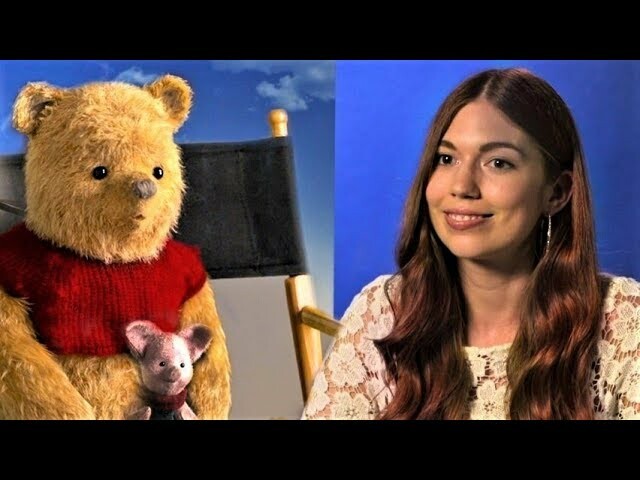 Winnie and his friends Piglet, Eeyore, Tigger and Ewan McGregor sit down with Vanessa in London and talk about their new Disney movie "Christopher Robin". will there be singing in Season 2 of 13 Reasons Why? We talked to creator Brian Yorkey and he told us some spoilers from the new and upcoming season 2. What are all the Polaroids about? And is Hannah back? Hannah wasn't the only one. 13 Reasons Why Season 2 - May 18th, 2018. 13 Reasons Why S2 - Dylan Minnette doesn’t cry! 13 Reasons Why - Dylan Minnette doesn’t cry, but he laughs a lot! Check out our full interview with Dylan Minnette and Katherine Langford on 13 Reason Why Season 2 tomorrow! The truth is developing. 13 Reasons Why Season 2 - May 18th, 2018. 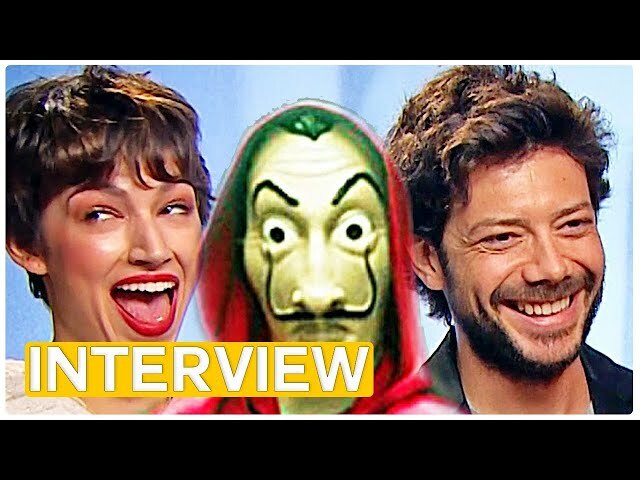 While Season 2 of Money Heist - La Casa de Papel - just startet to air on Netflix, we met the cast of the show and asked what they expect for Season 3. Álvaro Morte (The Professor) and Úrsula Corberó (Tokio) speculate, what the third season of the show might bring. Season 2 is now on Netflix! The biggest money heist in history is in jeopardy: hostages and thieves are growing increasingly tired and nervous, forensic scientists are tracking the house where the heist was planned, and the police are closer to finding out the identity of The Professor. Will they be able to fulfill their plan? All episodes since April 6.
exclusive interview with Alba August (Simone) and Lucas Lynggaard Tønnesen (Rasmus) on The Rain, the new Netflix series from Denmark. “You never know when your life is going to change.” After a brutal virus wipes out most of the population, two young siblings embark on a perilous search for safety. The Rain, a Netflix original series. Streaming May 4.
where were they, when the call for Avengers came? We asked the cast of Avengers: Infinity War about the moment they learned, they will be part of the Marvel Cinematic Universe. Avengers & Ice Cream - that's a big thing in the new movie. Guess who likes which best? We asked Paul Bettany (Vision), Elizabeth Olsen Elizabeth Olsen (Scarlet Witch), Letitia Wright (Shuri), Sebastian Stan (Bucky Barnes/White Wolf), Benedict Cumberbatch (Dr. Strange) and Tom Hiddleston (Loki). Which one do you prefer?